The 87th Rallye Automobile Monte-Carlo (24-27 January) once again opens the FIA World Rally Championship. For the sixth successive year, the epicentre of the event will be the city of Gap in the Hautes Alpes Department of France. This year the event will actually start in Gap instead of Monte Carlo itself. This shortens the total distance covered by crews and also the total time from start to finish for the event, from the start of recce to the prizegiving. In terms of special stages in modern times, this year’s Monte Carlo route is the shortest (323km), while in terms of overall distance, this is the shortest Monte Carlo (1366km) since the Valence-based event in 2007. It had been intended that all the recce would be held on the Tuesday and Wednesday, with Shakedown on Thursday morning with two stages after dark that evening before the route returns to Gap. In the end, after representations from the teams, it was decided that recce for the far-away Alpes Maritimes stages (in the hills behind Monte Carlo) would take place on the Monday evening. For the first time the Shakedown will be televised with WRC and WRC2 Pro crews making their first runs in promotional order. 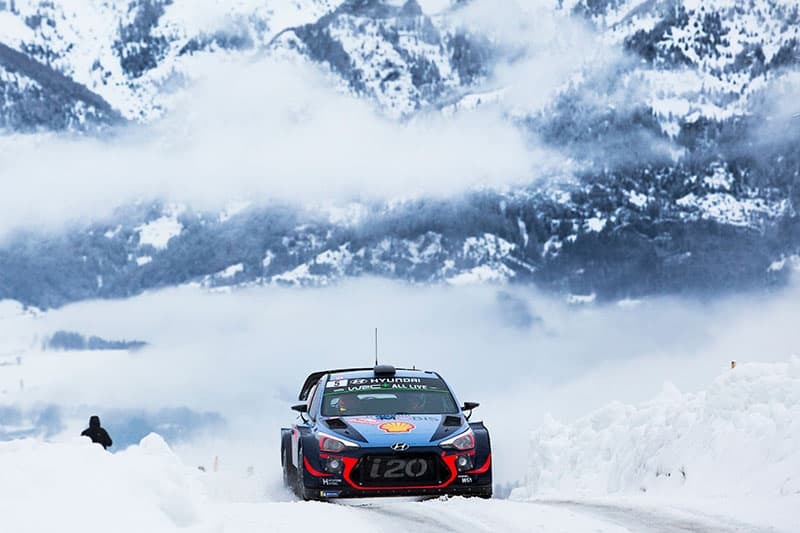 There are six stages on the Friday, followed by return to Gap, four on the Saturday before the cars travel to Monte Carlo for an overnight halt and then two runs round the two Alpes Maritimes mountain stages before the finish at the Monte Carlo harbour on Sunday in the early afternoon. There are 84 entries, with 11 registered World Rally Cars, three WRC2 Pro entries (one each from M-Sport – Gus Greensmith, Citroen – Yoann Bonato and, at the last minute, also one from Skoda – Kalle Rovanpera), seven non-professional entries in WRC2 and two (one Abarth 124 and one Porsche 911) in R-GT. Of the registered drivers in the WRC the oldest is 44 year old Sebastien Loeb, now driving for Hyundai, comfortably ahead of 38 year old Kris Meeke who now drives for Toyota. 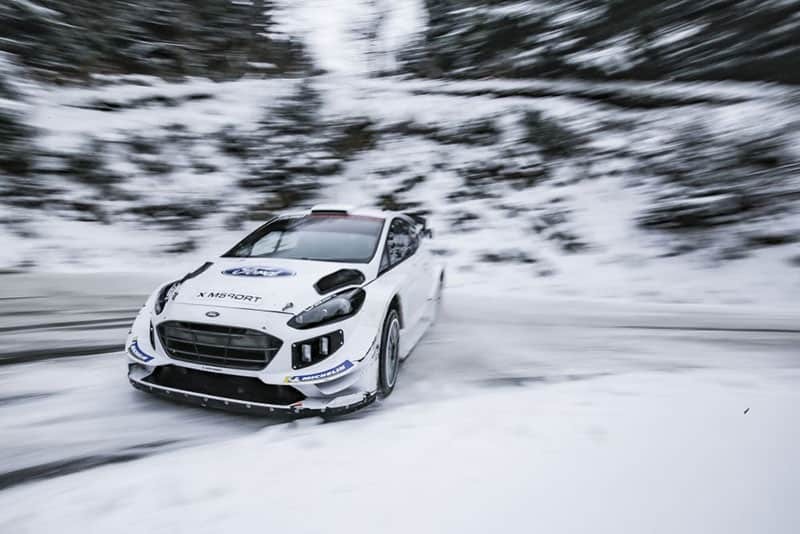 The youngest is 24 year old M-Sport driver Teemu Suninen. The most experienced WRC driver Jari-Matti Latvala for whom Monte Carlo is his 196th WRC entry – equalling the total reached by Carlos Sainz, ahead of Loeb for whom this will be his entry number 173. Latvala’s co-driver Miikka Anttila remains the only competitor in the WRC to have entered over 200 WRC events. In terms of finishing results, World Champion Sebastien Ogier is the most reliable with a ten percent retirement rate while Meeke’s rate is over 35%. No management changes this year. No unexpected problems at last year’s Rally Australia. Only a two car team this year. Two days testing for Monte Carlo. 7 days in total. Four days in December (two days with Ogier, two with Lappi) in the Gap area, and three in January (1.5 days with Ogier, 1.5 with Lappi) again in Gap area. All types of Monte-Carlo conditions: dry, slippery, wet tarmac, but also slush, good snow and ice. This meant they could analyse a wide variety of settings, such as cross-fitted tyres, which involves paying very careful attention to the set-up in order to ensure the car’s handling remains predictable. 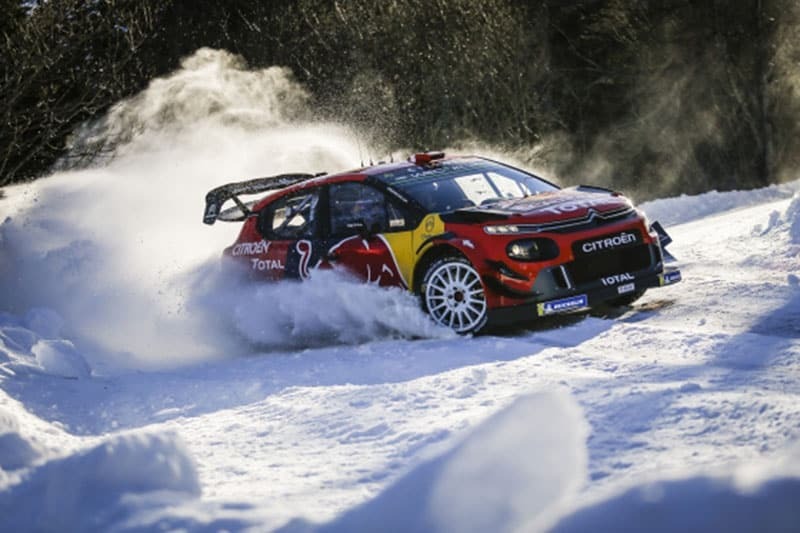 Technical changes for the 2019 WRC cars: the C3 WRC has undergone some considerable changes since the 2018 Rallye Monte-Carlo, in terms of the dampers and the design of the suspension, and the team now has a good understanding of the basic set-up. The team concentrated on getting a car easier to drive, and which is therefore capable of adapting to the varied levels of grip on this event. They also worked on set-up options that might be adjusted by the crews between stages on a loop. Cars for Monte Carlo: Ogier chassis 7 and Lappi chassis 4. Ouvreurs (ice note crews): Ogier = Simon Jean-Joseph; Lappi = Mikko Heikkila. Regarding WRC2 Pro: Citroen’s policy is to help their customers like Ostberg, but only Yoann Bonato has been entered in Monte Carlo. Six previous wins on this event for Ogier, Lappi was seventh last year. No news yet about proposed top management changes, apart from Andrea Adamo the new Team Director. Regarding last year’s Rally Australia, Neuville’s accident was regarded by the team as “a rallying accident”, a disappointing end-of-season result. Until technical management positions are defined no details about developments on the cars are being released. Testing was near Gap: one day each for Neuville and Mikkelsen, Loeb will have a one day test the Sunday before the event. A new chassis for Neuville (number 16), Mikkelsen has his Australia car and Loeb the Sordo car from Cataluna, also the Paddon car in Rally GB. Ouvreurs will be Patrick Magaud for Loeb, Bernt Kollevold for Mikkelsen and Bruno Thiry for Neuville. Hyundai Motorsport has decided not to participate in WRC2 Pro. Seven previous wins for Loeb, Mikkelsen finished second once and Neuville has had one podium. Senior managers are Malcolm Wilson OBE, Managing Director, Richard Millener, Team Principal, Iain Tullie, Team Co-ordinator, Chris Williams, Head of Rally Engineering, Chris Roberts, Evans’ Engineer and Callum Bendall, Suninen’s Engineer. No unexpected problems in Australia and a happy championship title for Ogier. Pre-Mone Carlo tests for Teemu completed two days in early December – at Col de Faye and Col D’Espreaux then Teemu and Elfyn shared two days last week – at Col de l’Echarasson and Mezilhac – Les Cretes. Pontus also had a day to himself last week – at Ray Pic / Lachamp Raphael. Technical changes on WRC cars since last year: Updated aero package with revised rear bumper and louvres, Engine upgrade, ZF dampers for Suninen and Evans, revised pod and various electronic upgrades. No changes for WRC2. Suninen has chassis 9, Evans chassis 10 (now registered as PO67KCY), Tidemand chassis 4 (OM59ORT) and Greensmith in R5 car chssis 268. Ouvreurs as follows: Evans his father Gwyndaf, Suninen has Juuso Pykalisto and Tidemand has Emil Bergqvist, and as this year WRC2 Pro can also have ouvreurs, Greensmith has Antoine l’Estage. No wins for this year’s team drivers, most experienced driver is Evans who has three times finished sixth. No senior management changes this year. Back in Australia last year, Tanak’s late retirement was assigned to tricky road conditions where nearly everyone had difficulties. No technical problems. Variety of conditions were encountered in testing. No technical changes on the rally car at the moment, same as at Australia last year. Cars for Monte Carlo: Latvala chassis 9 (all cars now registered in Estonia, not Finland). Latvala’s car is SP1009, Tanak’s is 10 = SP1010, Meeke’s is 11 = SP1011. Ouvreur drivers are Tony Gardemeister (for Latvala), Martin Kangur for Tanak and Stephen Whitford for Meeke. No previous wins for team’s drivers but in the past two years Tanak has finished third then second. This is Latvala’s twelfth Monte Carlo, but he has finished second twice in the last four years.